Heating Repairs | Atlantic Refrigeration and Air Conditioning, Inc. Whenever you have an issue with your heating system, no matter what kind it is, you should rely on a professional to fix it for you. Using professional heating repair ensures that your heating system is fixed safely and effectively. However, that doesn’t mean that you should remain ignorant of the process. Knowledge is power, and knowing more about your heating system could help you take better care of it. With that in mind, let’s take a look at 3 common furnace repairs. There are a few different kinds of pilot lights these days, but the most common is still the standing pilot light. This is a small flame that burns underneath your furnace 24/7. This flame is responsible for lighting the burners to start the furnace when the thermostat commands heat. Unfortunately, pilot lights are notorious for going out on a semi-regular basis. Normally, this is simply due to a gust of air, and the pilot light is easily relit. Occasionally, however, the pilot light refuses to light in the first place. This is often caused by a faulty thermocouple, which is the heat sensor that determines when to supply fuel to the pilot light. Replacing the thermocouple tends to fix the problem. The air filter is a fiber-mesh woven over a frame and installed in the air return of your furnace. It is responsible for capturing all the dust and debris commonly found in a home’s ductwork before it can enter the furnace and cause problems. If the filter is not changed every 1-3 months, however, it can become so clogged with debris that it restricts air flow to the furnace. This causes the furnace to overheat, causing damage and creating fire risk. The air handler is the part of the furnace responsible for circulating warm air throughout the house. It is mainly comprised of a motor, fan, and fan belt. Any one of these parts is capable of failing, with the most common being the motor and fan belt. If you hear grinding or squealing noises coming from your furnace, it is likely a problem with the motor or fan belt, respectively. Call a professional as soon as possible. If you’re having furnace problems, call Atlantic Refrigeration. 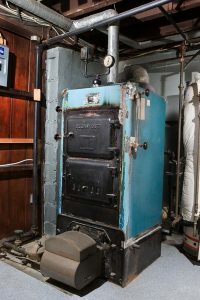 We provide heating repair services throughout Lewes, DE.